Laura, Michele & Gail: Sisters! I am wearing a fabulous gold dress from one of my favorite designers, Shoshanna. The Shoshanna Gold Metallic Jacquard V-Neck Twist Waist Dress looks great on -- especially if you have a bit of a tan. Shoshanna's designs always deliver when it comes to comfortable, chic clothing that highlight your best assets while hiding (or masking) your worst (in my case: hips and thighs). I also have some great gold eye shadow -- Bare Escentuals bareMinerals Glimmer Eye Shadow in True Gold -- that I don't get to wear too often, so I was happy to be able to use it on this occasion. I couldn't find the exact dress online, but here is strapless version of the gold Shoshanna dress available now at Saks.com. 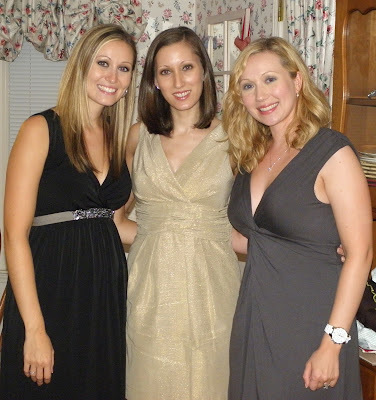 Before Laura (on the far left, above) started highlighting her hair, her hair color was as dark as mine, if not darker. 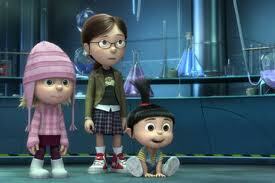 Every time I see the three sisters in the movie, Despicable Me, I am reminded of my sisters! I love this movie and have seen in at least 20 times now. Originally a family of five, we are now a family of nine, since all of us are married, and my mom's dad, my Grandpa, now lives with my parents. It's quite a gathering when we are all together. Unfortunately, Chapin was out of town working in Dunedin, Florida, for this particular celebration. Gail's husband, Rich, tried to plan a surprise party for Gail's milestone birthday, but it didn't work out, so we surprised her with dinner out (Sugo Restaurant) and a cake instead. 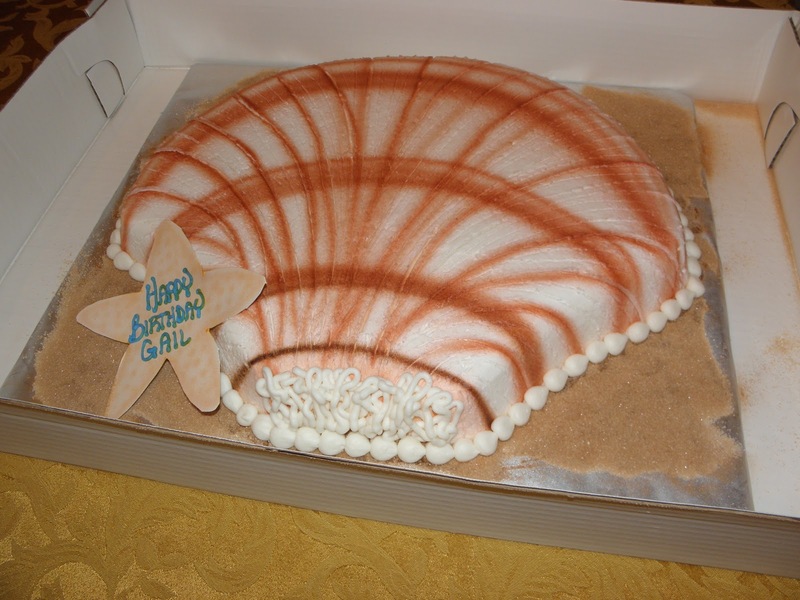 She loves the beach and seashells in particular, so I ordered her a cake in the shape of a beautiful seashell. The cake inside was chocolate, and the decoration on the seashell is cinnamon, so the overall flavor was so delectable. I ordered the cake from Rhodes Bakery in Atlanta, and they always do a great job. 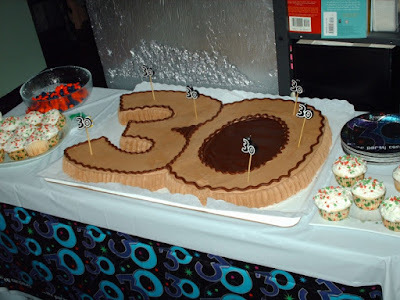 I also ordered Chapin's 30th birthday cake here, and you can check it out in the picture below. It was all chocolate -- his favorite! I love birthdays and my family, so it was such a fun weekend. We also gave Gail her birthday present: a Michele watch. Now all three sisters have a watch from my namesake brand.